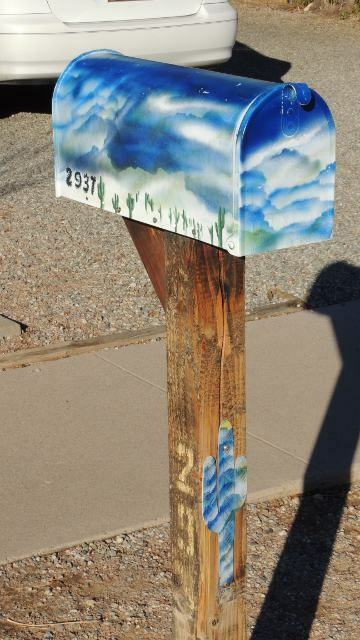 This mailbox has dramatic clouds over a desert scene. On the post, a saguaro cactus in the same colors. I found it on New Year's Day (January 1).